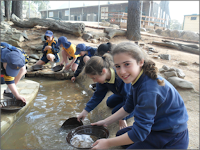 On the 13th of September the Year 6 class went to Bathurst. Our first stop was Echo Point. 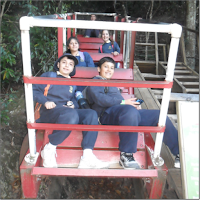 First we went on the Scenic Railway. Everyone was nervous and excited at the same time. The ride was really steep and fun but unfortunately very short. Once we went out of the railway there was a really good view of mountains and trees. Then we walked on a walkway through the trees and bushes to go to the skyway. On the skyway we also saw the 3 sisters. 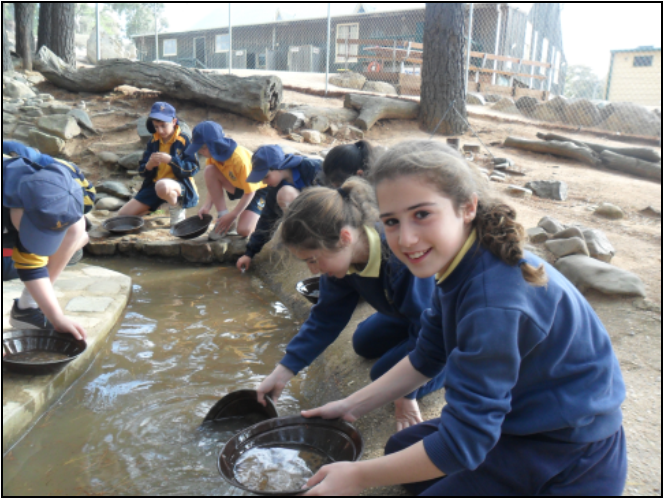 At the Bathurst Goldfields we were able to pan for gold. Some students were lucky and found gold like Christopher who had found four specks of gold. After the panning we met a husband and wife who told us about when they came to Bathurst. Then we were split into three groups. 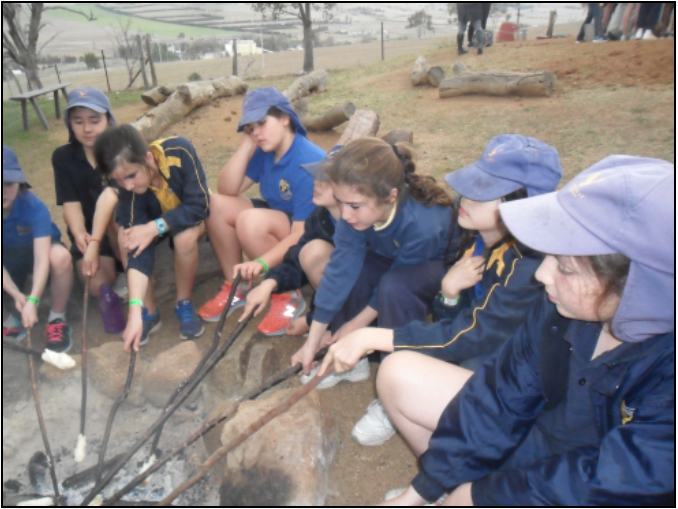 In these groups we were able to make damper, which was really yummy. We got the chance to make mud bricks and play games of the 1850s. 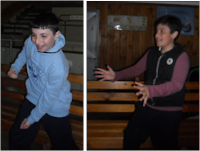 After checking into our accommodation and having dinner we participated in a Bush Dance. Here we met Simone who taught us some dances. Some dances we knew and some we had to learn. We all had a really fun time. The next morning after breakfast we went to Hill End to do some more panning! It was very muddy and dirty. Our instructor Michelle told us how to pan for gold. This time it was a different technique. Later on it got extremely cold and started to snow. Our hands turned purple in the freezing water. We were all happy to hop back on the warm bus. In the treasure hunt we first gathered around a table and a lady told us some facts about Hill End and its history. Then she gave us a worksheet with 12 questions on it and said whoever got the most right would get a little capsule of gold. We got into groups of 5 and went walking around a village looking for the answers for the questions. At the end our school got 9 out of 12 which is really good. Next it was off to an underground mine. Here we met Eddie and Garry. Eddie lead us into the mine and at first it was a little dark but then our eyes got used to the dark and we saw more. Eddie showed us the places where the miners thought there would be gold. At the end we decided if we wanted to climb the ladder all way to the top of the mountain. After, we went to a cattle and drone show. The caretaker of the animal's name was Steve. He told us about the different species of sheep and cows. Steve also called up a few volunteers for different activities. Anita got called up to milk a cow, Jessica got called to hold a very small and cute bunny and lastly Christopher got called up and got to feed some lambs. That night we were to have a campfire. 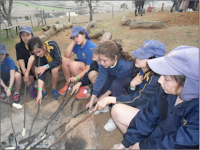 We didn’t really sit around a campfire because it was too cold but some Aboriginal people came and told us about their history and culture. Uncle Bill told us about different weapons and what they’re used for. 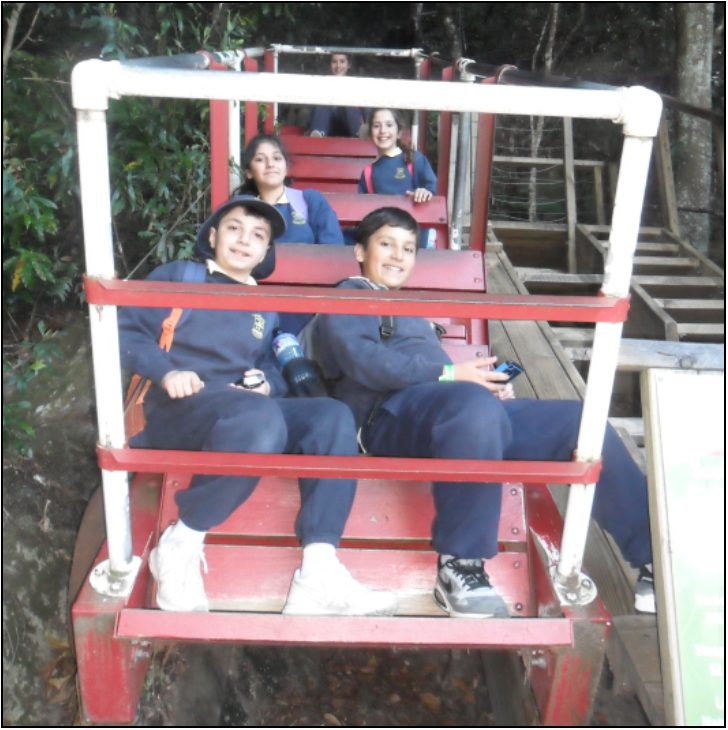 On the very last day we got up nice and early, had our breakfast and went to the hayride. We were then able to visit the animals in the nursery. Our last stop was Mount Piper Power Station we first went inside the building and met Leo. He told us about coal and energy. He then showed us a video which showed us what the turbine looked like. We then got inside the bus and he gave us a tour around the power station. We all had a wonderful trip but we were all ready to return home.